Well, we saw the real thing in “Totality”!! Quite the event. We are staying in Prescott, AZ but decided to go be in the “zone” and see the eclipse. That required heading north at least 800-900 miles to be on the line. What an incredible site to experience! As the time got closer to committing to the trip we debated taking the “Toad” only so we could park anywhere and not have to worry about RV parking restrictions and accommodations. So glad we did! Karen spent probably a month figuring out the best way to travel and sleep in our little Toyo Pickup truck. We bought an adjustable bed frame and made leg holders so we could have the bedframe over the wheel wells. Bought a basic air mattress and we were good to go. She planned for lots of water, extra gas, food, etc….. Since Walmart is usually so RV friendly and allows overnight parking, we joined lots of other travelers in Walmart parking lots. 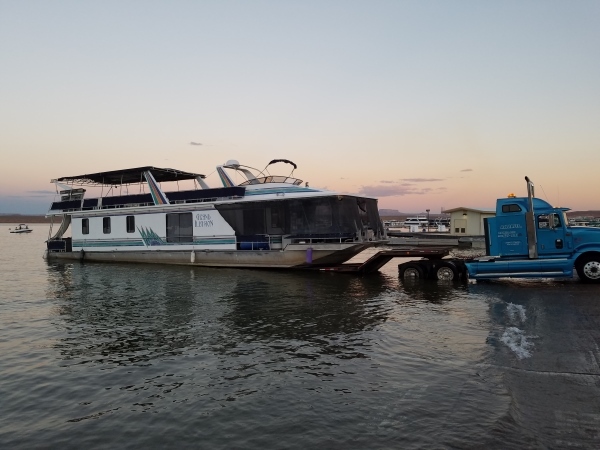 We stayed in Paige, AZ the first night – watched a huge party boat get launched, then saw a beautiful sunset over Lake Powel. Then Payson, Utah the second night. We tried to stay in Idaho Falls Sunday night, but they had closed the parking lot to over-nighters for the week – slightly mad, but probably the smartest move on their part!!! Lots of travelers…. After a nice rewarding steak dinner in Idaho Falls, we drove up to Thornton, Idaho to be right on the centerline of the eclipse. Several farmers were renting parking spaces for the night so we stayed at one that was right off I-15. The actual eclipse was just mind-numbing…… as the moon crossed in front of the sun, it got darker and colder and when the ring effect happened - all you heard was ohhs and ahhhs…. As the sun started to re-appear, the warmer it got and the brighter…. Just as predicted. Only regret was no animals were around to see what they did…. We saw birds flying around, but not during the actual eclipse. Then, the mess!!! OMG!!! 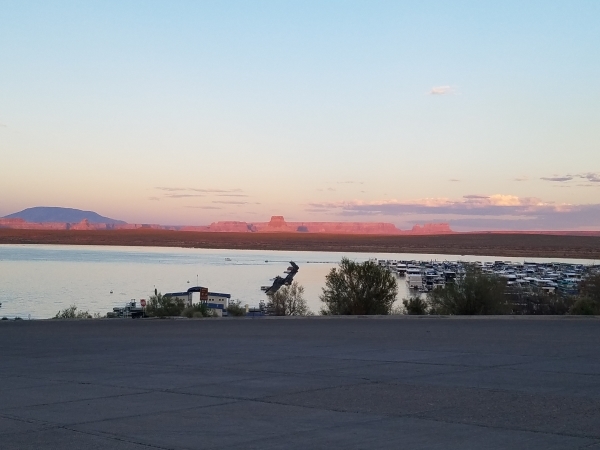 Getting out of the area was just non-existent – I-15 became an instant parking lot…. Whew!!! Going up wasn’t bad because so many arrived before Monday. Leaving was just the opposite – every car in Idaho got onto I-15 the moment the eclipse was over – literally! It took us 7.5 hours to go 130 miles to get out of Idaho. Utah was no better, so we stayed at Brigham City Walmart just to get off the highway…. 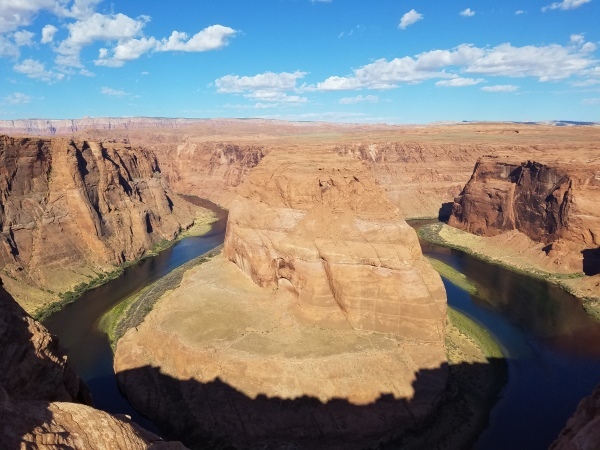 Then back to Paige – with a stop at Horseshoe Bend and finally home – a very hot l-o-n-g shower and our comfy real RV bed!!! !